Anna Lucero is a comedian, actor, & director in Chicago. She has finished a rigorous year of study and assistant directing in the Second City Directing Program and produces The Gogo Show. She created The Lincoln Loft, an ever-changing labor of love, with Adam Schulmerich. 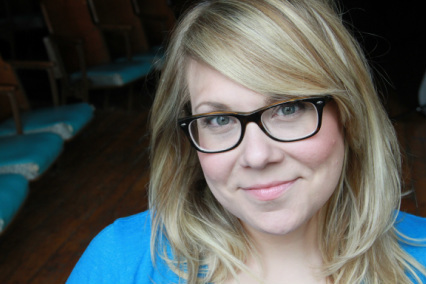 After earning her degree in acting from Towson University in Baltimore, Anna moved to Chicago where she diversified her comedy education at Second City, The Annoyance Theater, Green Shirt Studio, Get Riffed with Ever Mainard, and The Feminine Comique with Cameron Esposito & Kelsie Huff. She has acted, directed, built, painted, focused lights, and choreographed with Lights Out Theatre Company since their first show. She has achieved 7 years of abstinence from Taco Bell. I want to book Anna Lucero. I want more info on Anna's shows. I want to send Anna fan mail.